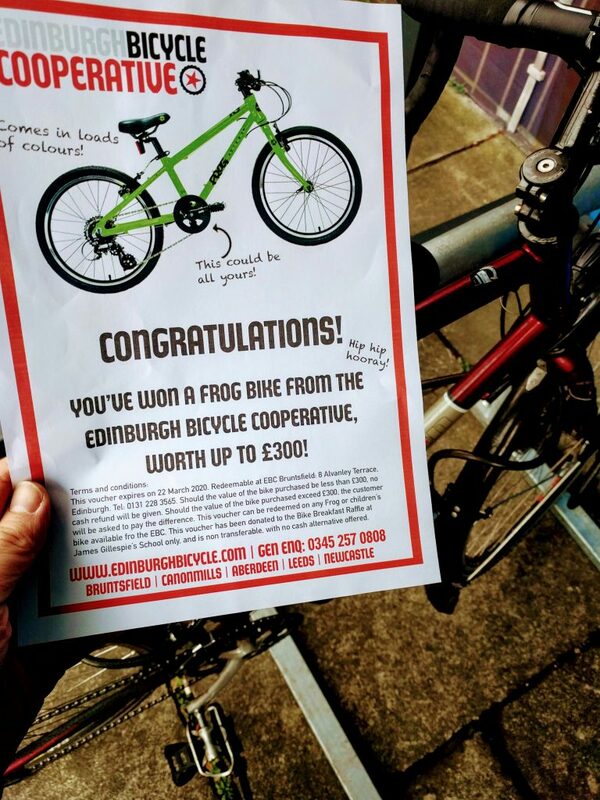 We are delighted to say that thanks to various brilliant local bike shops and businesses we have loads of exciting prizes in our raffle. All of the money raised will go to the school to provide Bikeability classes for every P6 student. The tickets are not yet on sale, but we will advertise when this will be possible. We will certainly be selling tickets in the playground on the morning of the bike breakfast! Below is a listing of all the prizes donated as well as links to the businesses themselves. 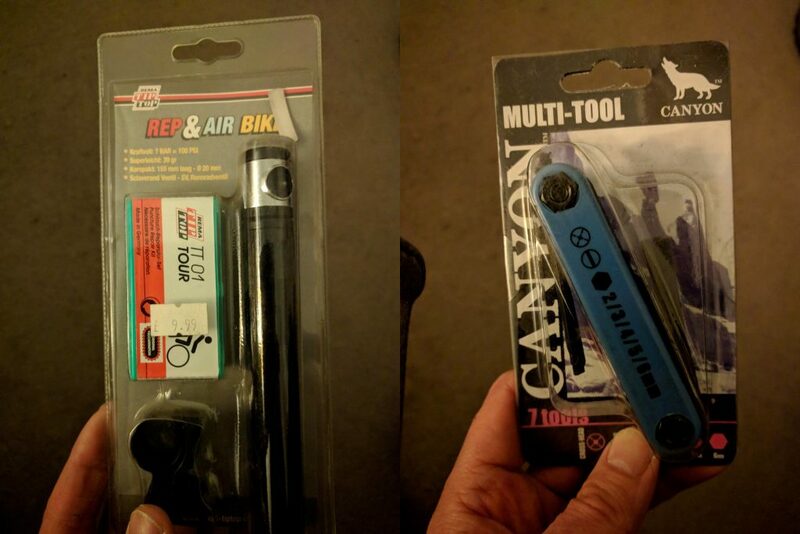 The brilliant folks at the cycle service have donated two bike computers, and all manner of tools and bells! One Part Carbon have donated two excellent VeloCityLights, which let drivers know how fast you’re going. 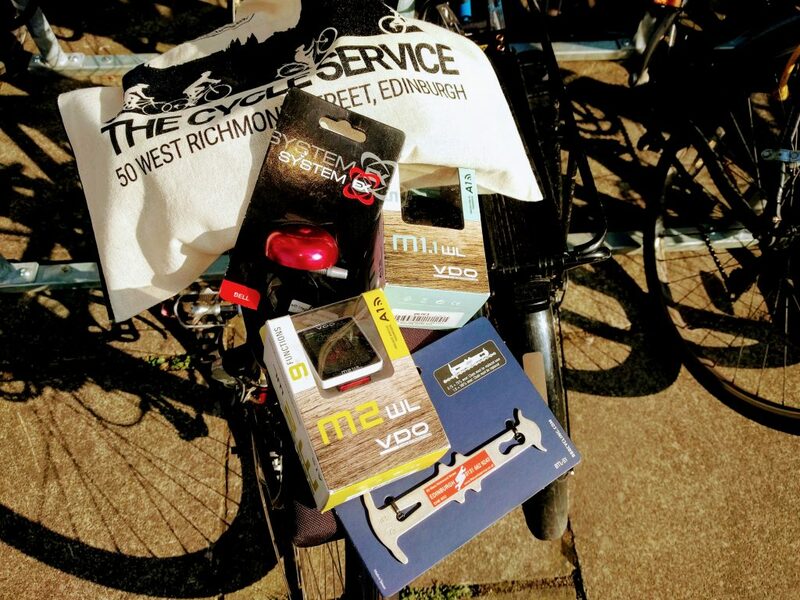 The bicycle works have donated excellent quality tools and repair kits. 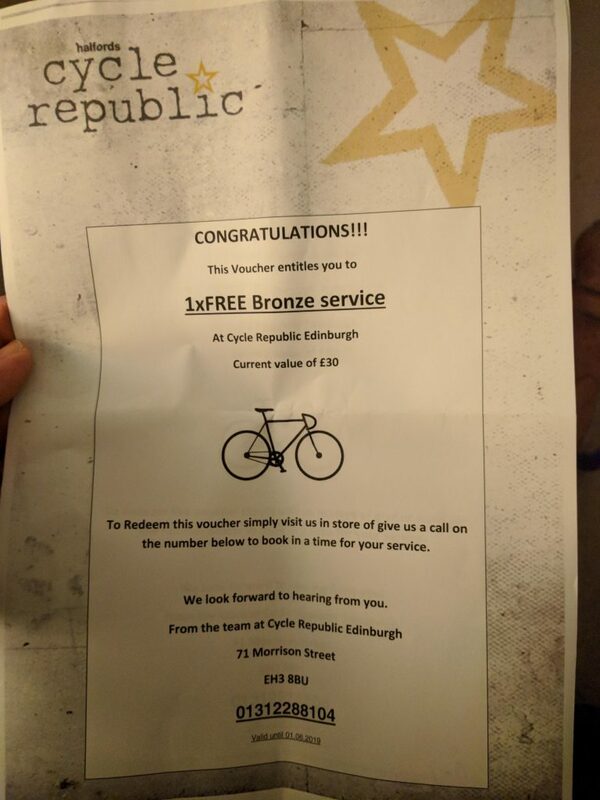 Two free bike services – valid until the end of June.